deBosDesign | 50 Cards sold on Kaartje2go.nl! 50 Cards sold on Kaartje2go.nl! 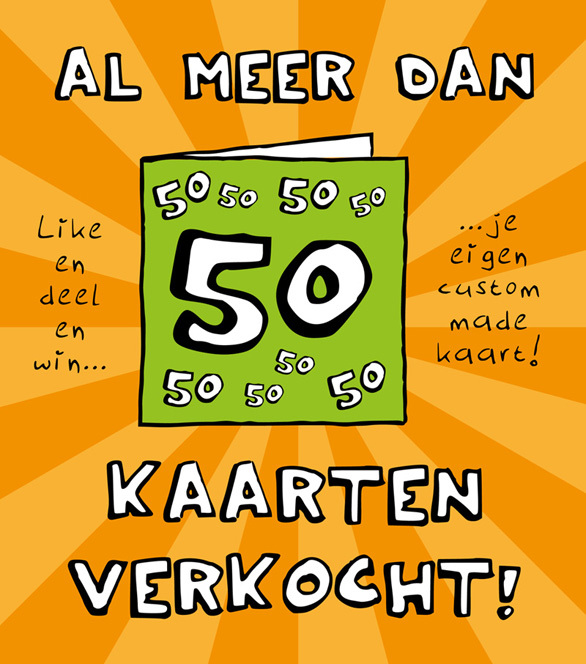 In just a couple of weeks deBos Design has already sold more than 50 greeting cards on Kaartje2go! A big thank you to everyone who purchased one of my designs and thank you Kaartje2go for offering such a designer friendly way to put my designs on the market. To celebrate this achievement deBos Design is giving away a free custom made greeting card based upon your own input! Want to win this unique greeting card? Like deBos Design on Facebook and share the post below! Or check out some recent designs below and help us get to 100 cards sold!